Sub-Saharan Africa will get its first Starbucks next year, as part of a new deal between the US coffee giant and a South African franchiser. The first branch is due to open in Johannesburg in 2016, with more locations to follow, its partner Taste Holdings said in a statement. 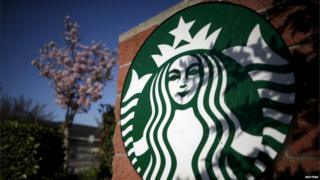 Starbucks, which has 22,000 outlets worldwide, will face local competition. Global brands are increasingly entering the African market to take advantage of the continent's growing middle class. "The coffee market here is vibrant and growing fast - we want to be part of that growth," Starbucks executive Kris Engskov said in a statement. Starbucks already sources a considerable amount of coffee it sells worldwide from farms in sub-Saharan Africa. Franchise operator Taste says that the new cafes in South Africa will be staffed predominantly by unemployed young people from local communities, aged between 17-25. A number of other US companies have moved into the South African market, including Wal-Mart. Global fast food brands are already popular in South Africa, but coffee companies have been slower to enter the market. The US doughnut and coffee giant Krispy Kreme also has plans to open around 31 stores in South Africa over the next five years. There are already many small independent coffee shops in South Africa, the BBC's Matthew Davies reports from Johannesburg. It is not clear what impact the arrival of Starbucks might have on its smaller, local competitors, our reporter says.